College Park, Md. — When it comes to things that are ultrafast and lightweight, robots can't hold a candle to the fastest-jumping insects and other small-but-powerful creatures. New research published April 27 in the journal Science could help explain why nature still beats robots, and describes how machines might take the lead. 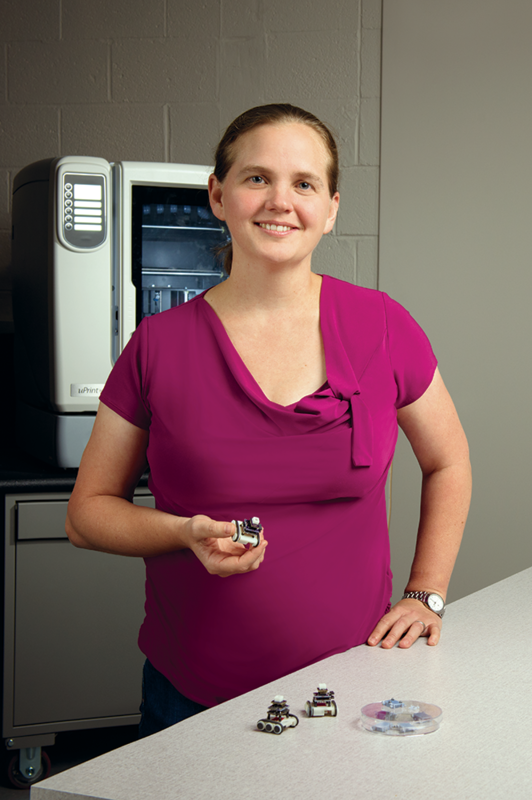 The multi-institutional team of authors includes Associate Professor Sarah Bergbreiter (Department of Mechanical Engineering and Institute for Systems Research), who studies microrobotics at the University of Maryland’s A. James Clark School of Engineering. This research was supported by the U.S. Army Research Laboratory and the U.S. Army Research Office, the Royal Society of London, the U.S. National Science Foundation, and the John Simon Guggenheim Foundation.